When I was a child, I was lucky to always have a friend with a pool. I spent summers with pruned fingers, learning how to dive, flutter, and see just how long I could hold my breath underwater. It takes time to become comfortable treading water, finding the easiest spots to climb out of the pool, and to reduce the sense of panic if you are thrown in by another person. Dogs need the same amount of training as kids do, if they are exposed to a pool. The most ideal situation would be to have a fence surrounding the pool, preventing unwanted access. Without a fence, the importance of proper pool safety is only heightened further. When first practicing swimming with your dog, get them used to swimming in the pool using a pet life jacket. Life jackets are especially important for breeds of dogs which do not float well, for example, Bulldogs. A life jacket will help improve their swimming skills, while providing a safer environment. Over time, as their techniques improve, take off the lifejacket and continue with paddling practice. Each time you are in the pool, show the dog the location of the pool ladder and/or shallow area of the pool where they can climb out. Practice swimming with them to this location multiple times in a session. In a panic situation, they may forget where the exit of the pool lies, so the more practice the better. There are also floating devices which can attach to the side of the pool for dogs to aid in climbing out. 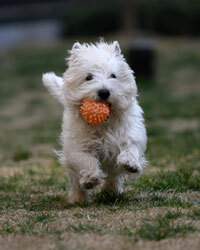 Each training session should be a short period of time, dependant on your dog’s stamina level, to help reduce exhaustion. Pool manners are also important. Water loving dogs such as Labrador Retrievers may dive in unexpectedly. It can be painful to have a Labrador land on your head! Training controlled entries and exits at specific spots in the pool can help reduce unwanted jumping. Even when the pool has a cover over top, dogs may walk onto the cover, causing it to collapse around them. One helpful product, called a Turtle Alarm, consists of a dog collar which sounds an alarm when the collar gets wet. Visit www.safetyturtle.com for more information. They even sell armbands for children. 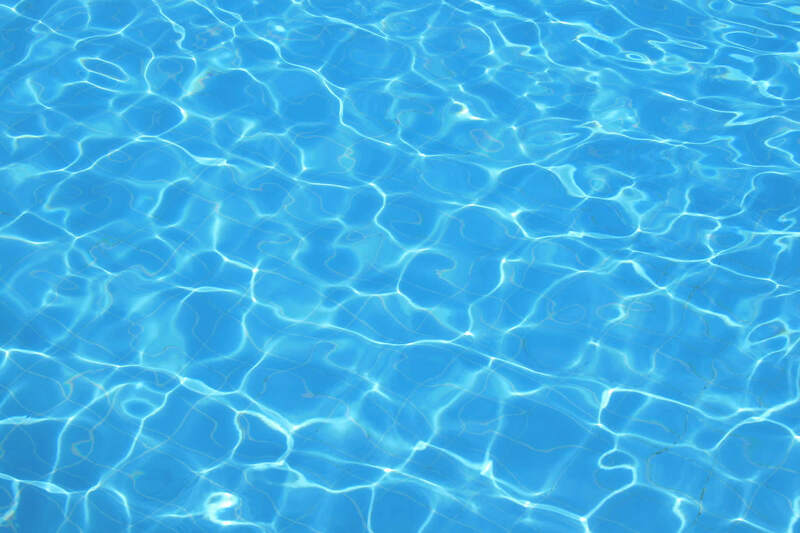 Drinking large amounts of pool water when swimming can be a concern. This is especially common if the animal has difficulty keeping their head above water while paddling or is overly excited. We all need to drink water, but there is a concern if too much water is ingested, this is a condition called water toxicity. If your dog seems to drink water while swimming, using a lifejacket can help to keep their head above water to reduce the amount they ingest. Of course, as the weather starts getting hotter, remember: if it is too hot for you, it is too hot for your pets. Don’t leave pets in parked cars, especially with the windows closed. Heat stroke can kill a dog within minutes. Also, bring water with you on walks to help cool your pet and stick to shaded areas. Your pet’s safety is of our utmost importance, if you have any questions about ways to keep your pet safe this summer, give us a call. Have a happy spring and summer season!